With Spring just around the corner, the golfers are starting to watch their tournaments and, if they live in a snowy region, starting to dust off their clubs. 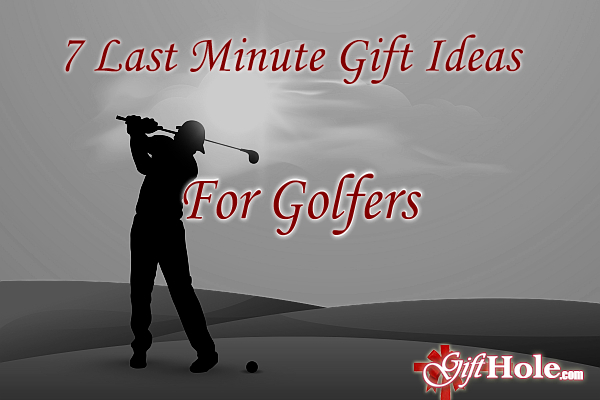 If you know of a golfer with a birthday coming up, here’s a few quick ideas on what he or she may appreciate. Saint Andrews’ are popular but anything will do if the round is bad and the glasses are accompanied by a pint of their favorite liquor. 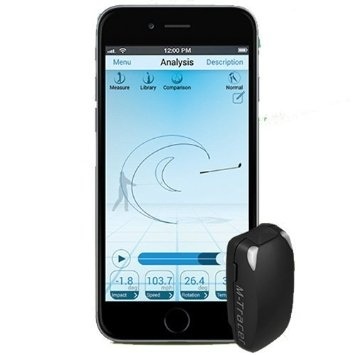 Endorsed by world-renowned golf instructor David Leadbetter (think: Nick Faldo, Ernie Els, and Greg Norman), the Epson M-Tracer gives you a 360-degree, 3D view of your golf swing path. That’s better than any video analysis can get. Not bad for a printer company. It never fails. Whether it’s the first nice day of the year or an invitation to join a foursome they’ve never played with before, the driving range beckons. With that, come too many buckets of balls and inevitably, blisters. You can make sure your golfer stays safe from infection and can still play comfortably with an “aid kit” that consists of liquid bandage, Mueller Golfer’s Tape, and a pair of golf gloves. The second glove might be necessary to keep that blister from getting ugly the next time out on the course. 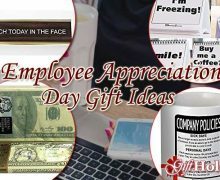 Throw in some tees and maybe an energy bar and they’ll be remembering your thoughtfulness. This line of golf apparel shines with a classic look. Showing up to the course in these threads will ensure that no one questions whether or not they belong in the club… unlike Paul McCartney. Great for couples, this not only a thoughtful gift, it gives the two of you time to yourselves instead of the usual, “I’ll clean the bathroom while you golf.” If you have a some money to spend, you could even put in a, “9 and Dine,” where you take them out to dinner afterward. Just about every golf course has a golf pro. 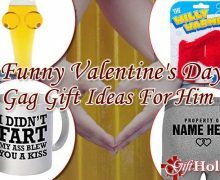 So, let’s say you give your special someone a gift certificate to the driving range. That’s awesome unless they get out there and keep driving the ball with all of their mistakes intact. If they don’t know how to correct their mistakes, they’ve just wasted their time. 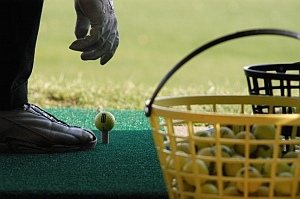 A better idea is golf lessons. Even if it’s just an hour, it will do wonders for their game. The other cool part is that you can chip in with other people and give a series of lessons. An improved game is an improved spirit. You don’t need to be a golfer to enjoy this book. In fact, if you know someone that has always wanted to try golf but needed a little push, this might be the inspiration they need. It’s the story of the pursuit of a passion and the need to find inner peace within the game – a truly remarkable journey, especially for those of us who thought golf was just about putting a ball in a little hole while drinking beer.